The beauty of tree climbing is that it's a melting pot of many disciplines: rock climbing, sailing, caving, and mountaineering. 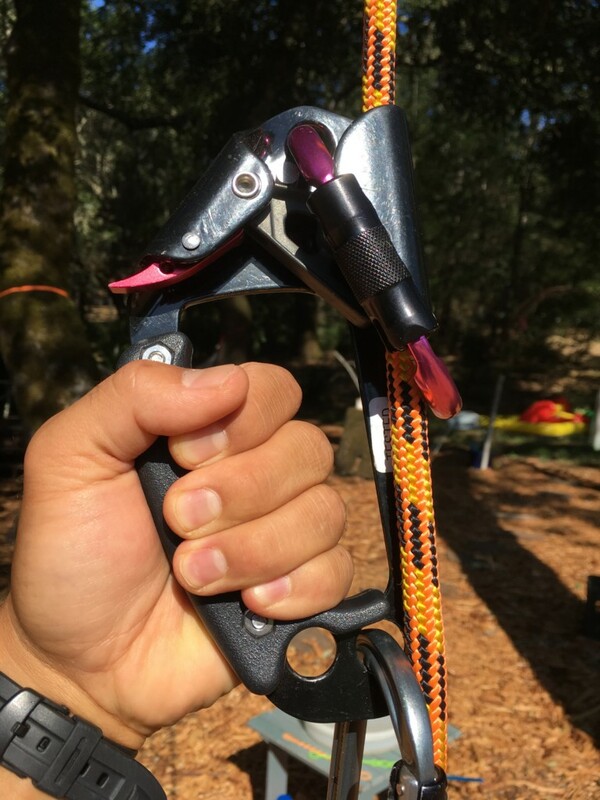 With all of their powers combined, we have another style of tree climbing…Stationary Rope Technique (SRT). In a nutshell, the climbing rope is tied off either at the top of the tree or at the base of the trunk. Then the climber ascends the fixed rope; the rope does not move with the climber like in MRS (Moving Rope System or Double Rope Technique). Why is this so awesome? Because the rope is not rubbing against the tree creating friction. It also saves the rope from getting covered in sticky tree sap when working in conifers. One of the biggest advantages of SRT is climbers get to use their larger leg muscles to get into the upper canopies. Less upper body fatigue means better control of the saws which means less accidents. Thanks to ergonomically-designed gear, climbing arborists can have longer careers. I have seen climbers 40+ years old out perform the younger guys all day long on this system. Another advantage is the 1:1 pull. This means when you pull 1 foot of rope, you get 1 foot of vertical lift. SRT is shifting your climbing into high gear compared to MRS which is low gear. Elite climbers can practically run up a vertical rope at amazing speeds! In MRS, you have a 2:1 advantage. When you pull 2 feet of rope, you get 1 foot of vertical lift. While this is slower, you are only lifting ½ of your body weight. (Sherilltree) This is one of the reasons why MRS is frequently used for beginner climbers. There is a steeper learning curve with SRT compared to MRS. There are so many devices on the market right now that allow climbers to ascend in dozens of different ways. While this is great, this can leave more questions than answers for those who are starting out. What’s the difference between a Hitch Hiker and Hitch Climber? How does a Rope Wrench work? Despite all of the advancements in SRT, MRS is by no means obsolete. This is like comparing nail guns to hammers; Nail guns may be faster, but sometimes you need the simplicity of a hammer. Lastly, the TCIA suggests climbing low to the ground (less than 5 feet) and under the supervision of a trainer. Thus, special training is strongly recommended before using SRT. Thanks for reading and climb safe!